It looks like we're going to get at least one more movie with Eggsy and the Kingsman. 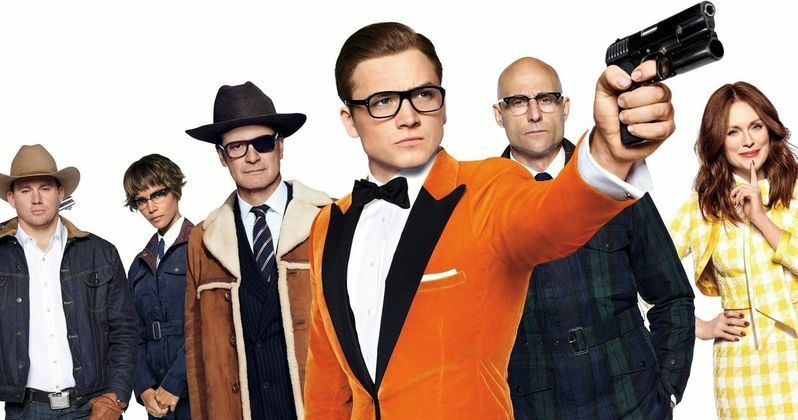 Despite the fact that Kingsman: The Golden Circle took a bit of a step back, in terms of box office and critical praise, it made enough money to justify a sequel from Fox. So director Matthew Vaughn reportedly already has plans for Kingsman 3. But will he actually return to direct the third installment? Visual Effects Supervisor Angus Bickerton recently did an interview to promote the release of Kingsman: The Golden Circle on Blu-ray. During the conversation, he was asked about the possibility of Kingsman 3, which hasn't officially been announced by Fox yet, but sounds increasingly likely. Here's what he had to say about it. "We've had the briefest of conversations with Matthew [Vaughn] about it...he's got plans." That's pretty simple. Matthew Vaughn has plans for Kingsman 3 and the movies have made money. So why wouldn't it happen? There's certainly room for another installment after Kingsman: The Golden Circle. In September, prior to the release of Kingsman 2, Vaughn talked a little bit about his plans for the franchise, teasing that he has plans for a trilogy and, if all goes well, possibly some spin-offs. Matthew Vaughn directed both Kingsman: The Secret Service and Kingsman: The Golden Circle. Even though he reportedly has plans for a third installment, there's no guarantee that he would come back to direct it. Not because he doesn't want to, but it may not be practical. Vaughn has reportedly been in talks with Warner Bros. to direct Man of Steel 2. While the movie doesn't have an official release date, it seems unlikely that Vaughn could direct Kingsman 3 and then go do Man of Steel 2. If he does take the Superman gig, it's likely he'd have to pass the torch to someone else to finish up the Kingsman trilogy. Both of the Kingsman movies did quite well at the box office, but Kingsman: The Golden Circle didn't do quite as well as the original. The first one pulled in $414 million, with the sequel bringing in $395 million. The other problem is that Kingsman: The Golden Circle took a big hit critically, currently holding a 51 percent approval rating on Rotten Tomatoes, compared to the 74 percent that Kingsman: The Secret Service has. Still, money talks and Fox has reason to think that Kingsman 3 would make some money. And as Angus Bickerton explains to Comic Book Resources, it sounds like the movie is going to happen.